Following the publication of the Department for Regional Development’s cycle strategy, agendaNi looks at how the department hopes to boost cycling’s profile in the next 25 years. 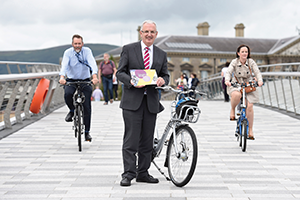 The Department for Regional Development (DRD) recently published its cycling strategy for Northern Ireland. 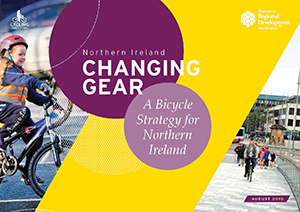 The strategy, it is hoped, will create a cycling culture in Northern Ireland over the next 25 years that will give people the freedom and confidence to use their bikes as part of their everyday routine. In 2013 the DRD made the development of a robust and often used cycling network one of its key priorities. It also stated its belief that this objective could only be delivered if it was appropriately funded. In Westminster, the All Party Parliamentary Group report ‘Get Britain Cycling’ recommended a cycling budget of at least £10 per person per year, increasing eventually to £20. If these figures were replicated in Northern Ireland, an annual spend of around £12.5 million per annum within five years and £18 million per annum within 10 years would be necessary. 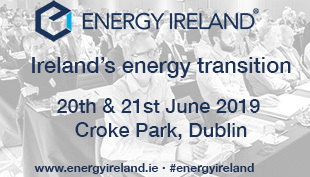 The department acknowledges that these figures are highly ambitious, however, its strategy notes that there is already €40 million allocated for sustainable transport, with a significant emphasis placed upon funding for cycling within the Interreg V programme. Going forward, the department will adopt a three pillar approach [see fig.1] focused on building a comprehensive network for bicycles, supporting people who choose to travel by bicycle and promoting the bicycle as a mode of transport for everyday journeys. This approach was chosen as the department recognises that whilst infrastructure provision is an important element of any cycling strategy, it is not usually sufficient to generate new numbers of bicycle trips and that a creative approach is required to support that investment. In terms of delivering a cycling network, the department has identified three key areas to work on. • Greenways: it is the department’s ambition to use rural greenways as an integral part of the comprehensive network in order to create long distance, high quality routes. The department is also acutely aware of the importance of ensuring people feel safe and comfortable cycling on everyday journeys and will launch a number of schemes to encourage and support those who choose to cycle. To help with the implementation and future planning that will be necessary to fulfil this strategy, a road user hierarchy has been developed. This hierarchy will ensure the needs of the most vulnerable road users are fully considered and adequately provided for in all highway schemes. • Tourism and culture: the development of amenity routes, greenways and cross border routes will encourage people to come to Northern Ireland to enjoy a good, high quality cycling experience. Having looked at the positive impact legislation has had on the cycling network in Wales, the department also plans to introduce legislation to support cyclists and consistent uniform signage across the planned network. Crucially, the department recognises that an effective cycle strategy will not work without integrating cycling into the wider transport infrastructure and linking it to other modes of transport. Facilitating interchange between modes of transport will give a greater number of people the opportunity to cycle as part of their journey. The department understands the importance of promoting the bicycle as a mode of transport and intends to build on a well-established approach focusing on working with people, organising and supporting events and providing people with relevant information. Over the next 25 years, the department will continue to work with the education sector to influence the travel behaviour of young people. Programs such as the department funded cycling proficiency scheme are already in operation and the department hopes to introduce such a scheme for adults so they too can feel confident cycling. With its long-term strategy now published, the DRD is now working on its short term plans which will be included in the 2015-2020 Bicycle Strategy delivery plan to be published later this year. In general, the department is aiming to prioritise the build and promote pillars of its plan within the first 10-15 years of the strategy then, with high quality infrastructure in place, turn its attention to the support pillar in the final 10 years of the strategy.